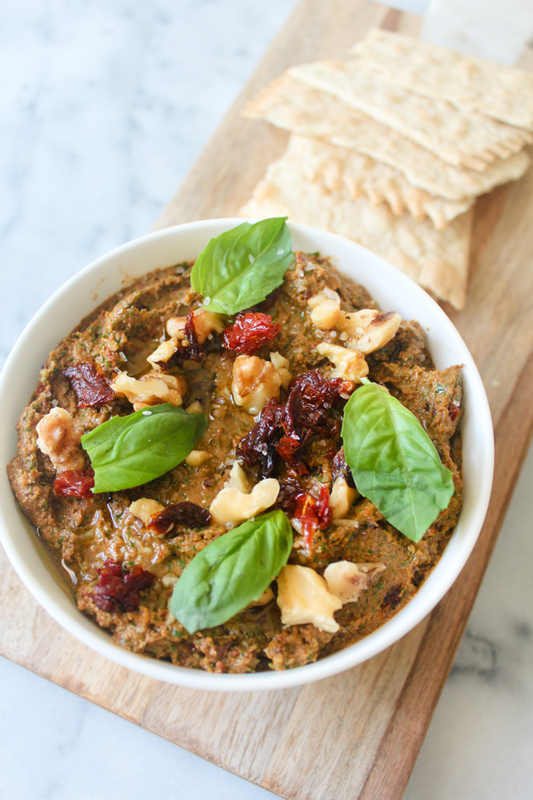 A delicious dip recipe is definitely good to have in your arsenal for the holiday season. Does anyone else hate that stressful moment at the beginning of each December when you think of all the holiday parties you're attending and ask yourself, "What am I going to bring?" Wine is always a nice option but not as nice when your bottle gets set next to the other dozen bottles brought by guests. You want to be just a bit more creative but then remember you still have to do your Christmas shopping, are stressed out from year end projects at work, and would much rather curl up with a peppermint schnapps hot chocolate and Netflix then attempt to bake something. That's where this dip comes in. It's super easy, transports well, and won't be a repeat of what anyone else brought. 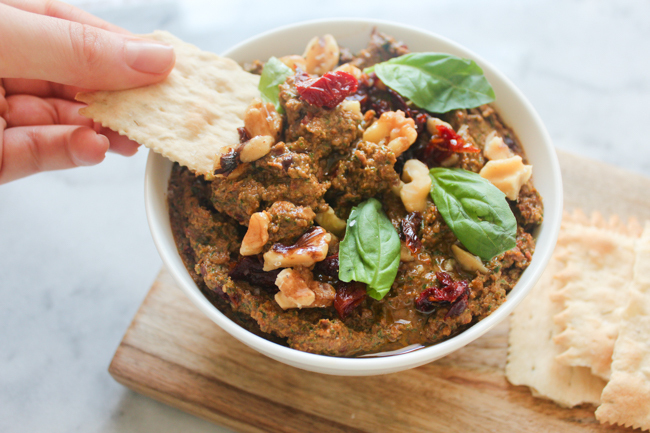 Even if you aren't attending any holiday parties this season (many would envy you), this is the perfect appetizer to make any meal you're having at home just a bit more special. Or heck, have it along with your peppermint schnapps hot chocolate and call it a night. Not judging. This recipe is also great because it allows you to customize how rich you want it to be since the vegetable broth can be used in place of the olive oil and vice versa. If you want to go super light, you can use all vegetable broth and just finish it by drizzling a little olive oil on top. 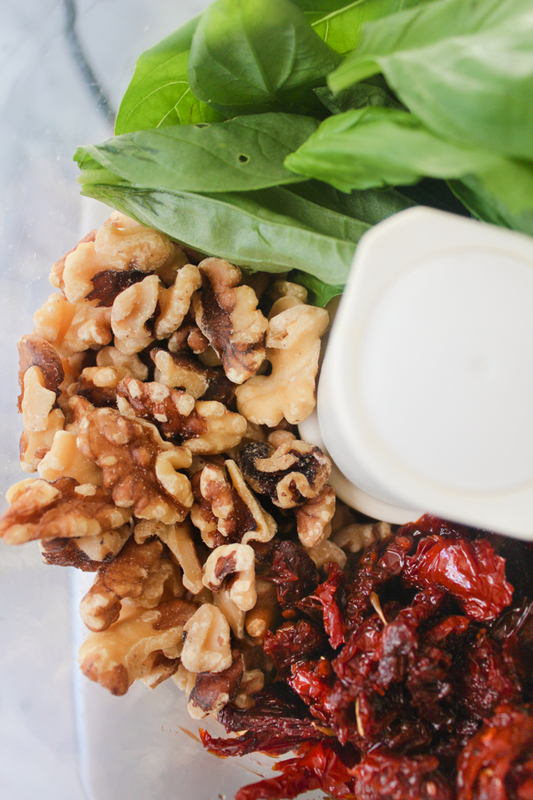 It will be packed with flavor either way because of the deliciously bold sun-dried tomatoes, earthy walnuts, and fresh basil. And it's red = bonus points. 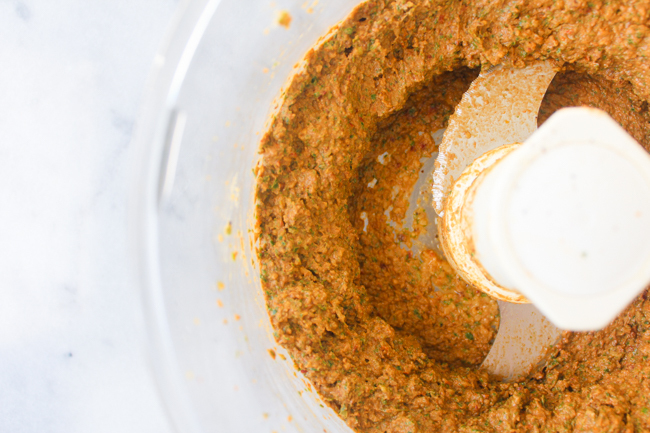 - Process all ingredients besides the olive oil in a food processor for about two minutes. With the food processor still on, slowly drizzle in the olive oil or vegetable broth (if you are using vegetable broth, you may need more than two tablespoons). Process until smooth. 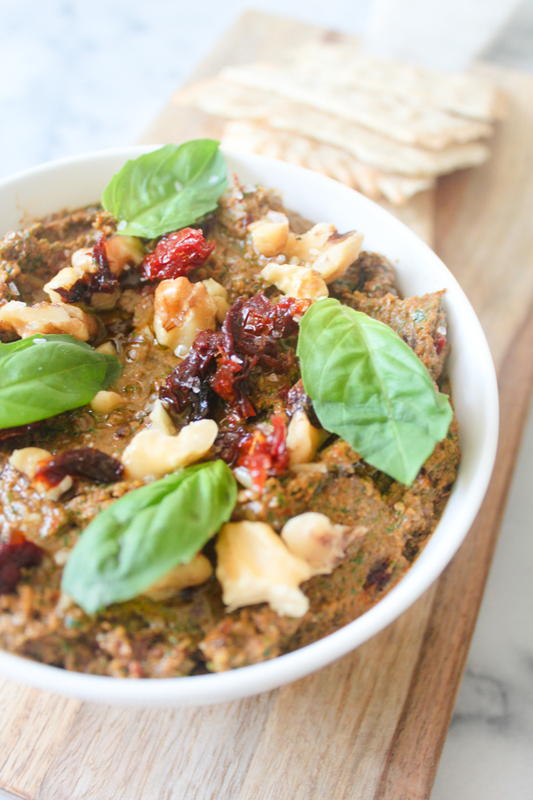 - Roughly chop the remaining walnuts and sun-dried tomatoes and stir into the dip. 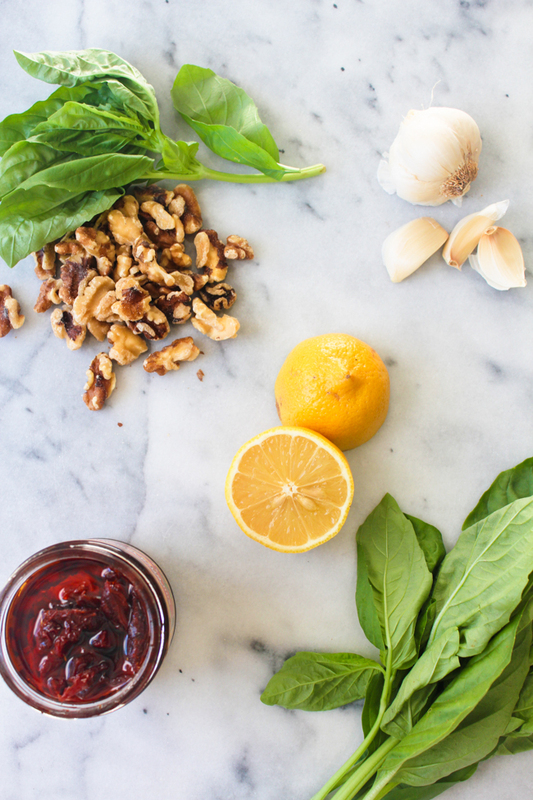 Finish with a drizzle of olive oil, some basil leafs, and flaky salt. Serve immediately. ***And one more holiday tip: Christmas cards. In order to avoid unnecessary stress, start thinking now about whether you want to send some out and, if so, where you're going to order them from. Paperless Post has always been a favorite of mine. 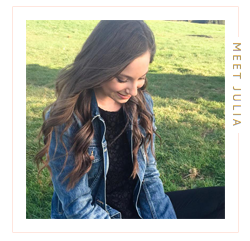 Their designs are gorgeous and their platform is easy to use. Just head over to their website to get started. Thank you!! They do go really well together, very complimentary.